Ingrid Matthews holds degrees in economics and law and is a masters research student at the Centre for Peace and Conflict Studies, University of Sydney, investigating western media coverage of Israel and Palestine. Ingrid lectures in jurisprudence at the UWS School of Law and is a research officer based at the Institute for Culture and Society. 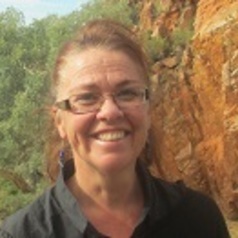 She has also worked with women escaping domestic violence in Central Australia and regional NSW and is a founding member of Yellomundee Aboriginal Bush Care and Yellomundee Firesticks. She has three children.